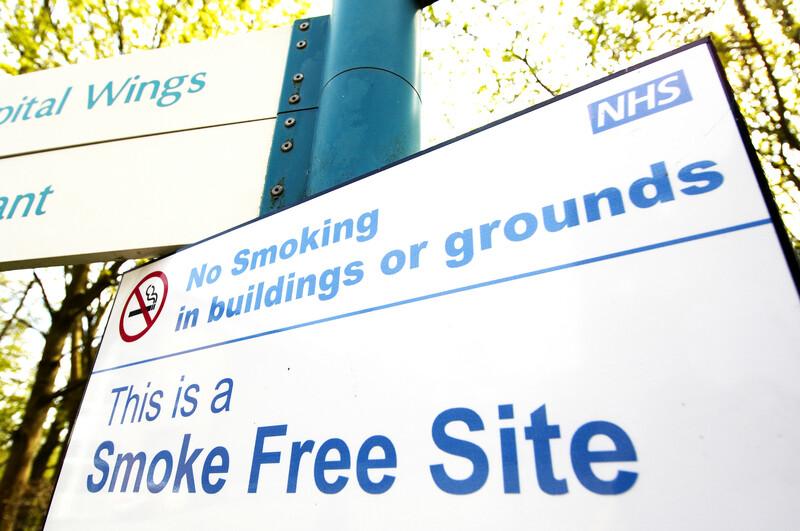 From Thursday 1st June, Hull University Teaching Hospitals NHS Trust will reinforce the ‘smoke free sites’ message to patients, staff and visitors. Those smoking on site at either Castle Hill Hospital or Hull Royal Infirmary will be asked to extinguish cigarettes or move off site, as part of a renewed attempt to improve health and well-being, reduce the burden of smoking related disease on the NHS, and create a more welcoming hospital environment. Hospitals across the country are being encouraged to prevent ill-health and risky behaviours such as smoking through NHS England’s Commissioning for Quality and Innovation (CQUIN) framework, and this is factored into the Trust’s Staff Health and Wellbeing Programme. The smoke free drive is also in line with guidance issued recently by Public Health England, who are championing a truly tobacco-free NHS. “The subject of smoking and hospitals together often provoke a lot of debate and strong feeling. Whilst we understand that some people can’t necessarily predict a trip to hospital, we also believe that as a provider of healthcare services, we have a responsibility to protect the health of people using our sites and to support people in making healthy lifestyle choices. “We want everyone to have pride in our hospitals, and this starts from the moment people arrive. We often hear from people who say they do not want to have to walk through a ‘cloud of smoke’ when they come into hospital, and having people smoking on site creates a bad impression, and this is something we agree with. According to Public Health England, smoking places a significant burden on the NHS: in 2014-15, around 475,000 hospital admissions in England were attributable to smoking and the total annual cost is estimated at £2bn, with a further £1.1bn in social care costs. The shelter at the entrance to Hull Royal Infirmary has now been removed to discourage smokers from gathering there, and free nicotine replacement will be offered to patients who smoke throughout their hospital stay. The Trust has also launched an updated Smoke Free Policy, setting out expectations in respect of staff behaviour and outlining the various sources of support on offer to staff and patients to help them quit smoking. External contractors and volunteers working on behalf of the Trust will also be expected to abide by this policy. Security staff will begin enforcing the policy from 1st June by kindly asking smokers to extinguish cigarettes or move off the hospital site completely. “For hospital patients, giving up smoking reduces your risk of complications and speeds up your recovery time, meaning you’ll be home sooner than if you continue smoking. “We offer a free advice and support service from Hull Royal Infirmary, with free nicotine patches and gum and other medication available for eligible people, and we won’t preach to you or judge you. For help to stop smoking, call Smokefree Hull on 01482 247111 or visit the Smokefree Hub opposite the main reception in Hull Royal Infirmary. Smokefree Hull is a service provided by City Health Care Partnership CIC.